Dial Glass Ltd is your experienced glazing company for the Kent area. We provide free estimates for our glass replacement service in Medway and deliver quality Double Glazing and Shopfront Repairs. We also replace leaded lights. Our team of expert glaziers in Kent undertake all types of repairs from windows, doors or shopfronts to offices and schools. We have access to a wide variety of glass in Kent and our experts are on hand to take measurements and get the glass of choice installed. 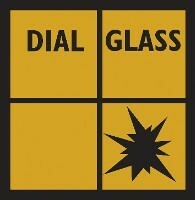 At Dial Glass we understand that you might be calling at an upsetting time. Our team of experts are discreet, trustworthy and sympathetic and our friendly service exists to help reassure you on a potentially difficult period. 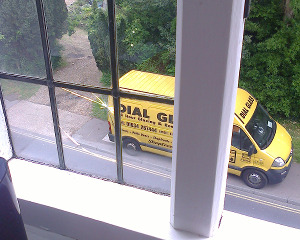 Don’t let the stress of a smashed window ruin your day – call in Dial Glass and save yourself unnecessary stress. Our services are 24/7 365 days a year. Call 01634 267444. Gain peace of mind knowing that you're in safe hands with our trustworthy team of experts. We understand that you may be calling at an upsetting time, which is why we work discreetly and promptly to help reassure you in a potentially difficult period. Contact our talented team of glaziers today, in Gillingham, Kent, to learn more about the services at our glazing company.